1. Decide your file naming convention and stick with it! 3. Should all your media live under the iTunes Media Folder? Two models - push or pull? 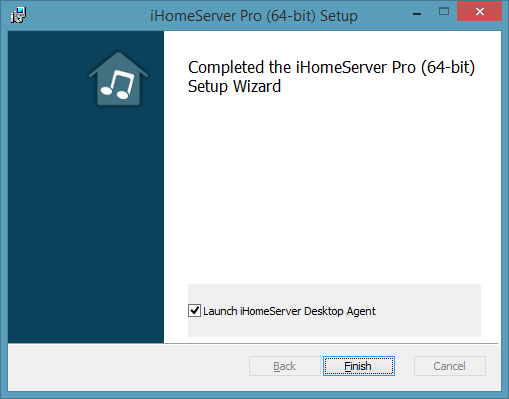 To install iHomeServer on a normal Windows desktop computer, such as Windows 8.1/8/7/XP/Vista or Windows Server 2003/2008/2012 follow the instructions below. 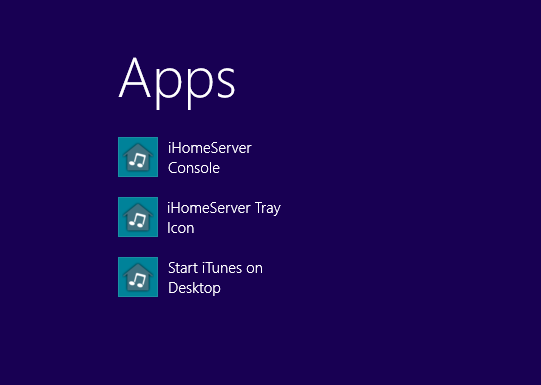 If, instead, you want to install iHomeServer on Windows Server 2012 Essentials, Windows Home Server 2011 or Windows Home Server v1 then please click here for instructions on how to install iHomeServer onto Windows server operating systems. 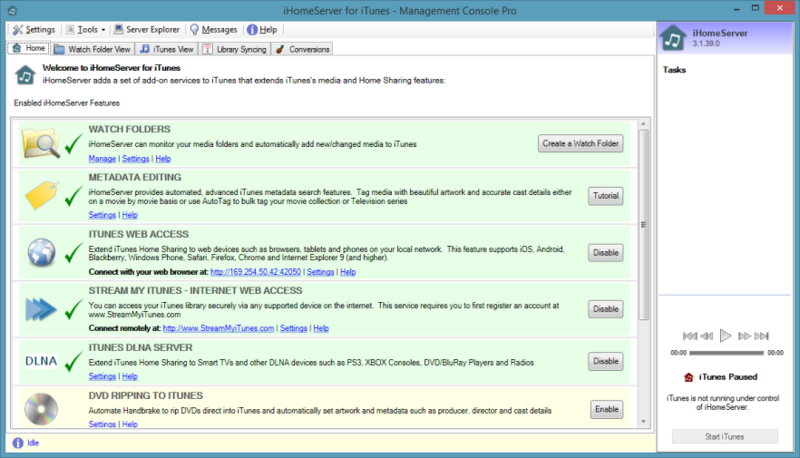 Download iHomeServer from our web site - www.bizmodeller.com - to your computer. When you are on the download site, please ensure you correctly select your Operating System from the download table as the installation media is different per OS. 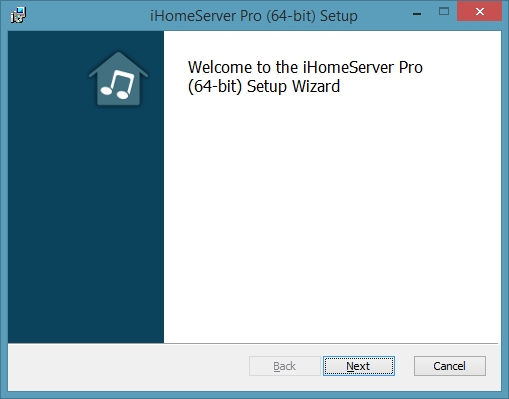 The installation media is also different depending on whether you are running a 32-bit or 64-bit variant of the Operating System. 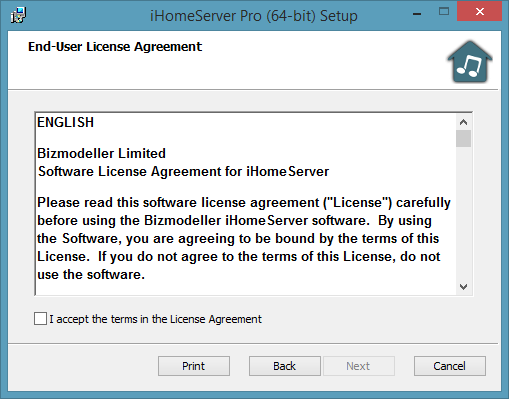 Note that the screen-shots below are from the 64-bit version, however, the 32-bit installation process is identical. Click 'Finish' to close the installation. 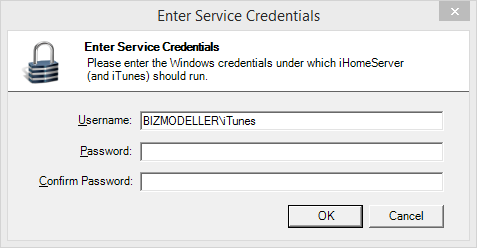 Refer to the topic 'Windows Service or Desktop Installation Mode' to decide which installation mode you wish. 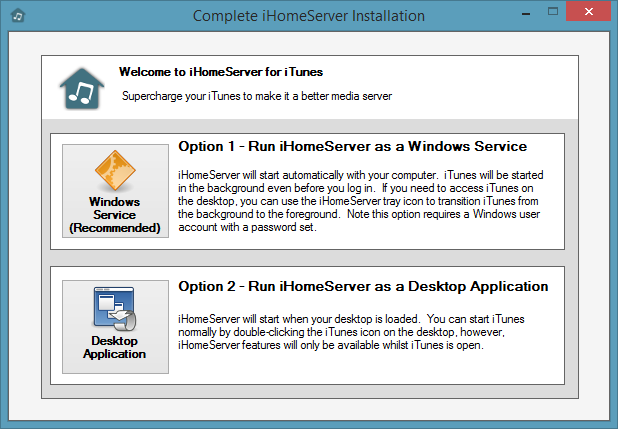 Most server users should select 'Option 1 - Run iHomeServer as a Windows Service' whereas desktop users may prefer 'Option 2 - Run iHomeServer as a Desktop Application'. 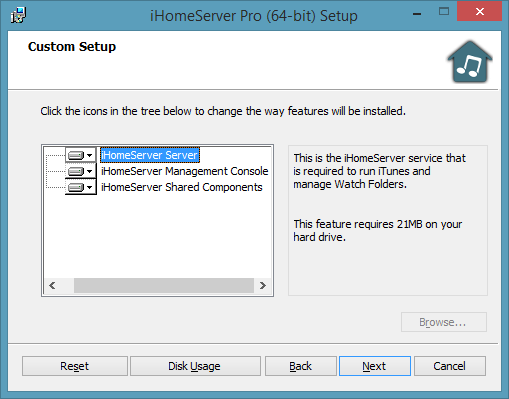 Once you have you made your selection, iHomeServer will initially check that the installation pre-requisites have been met. If not, it will prompt you for any additional steps that are required for your system. 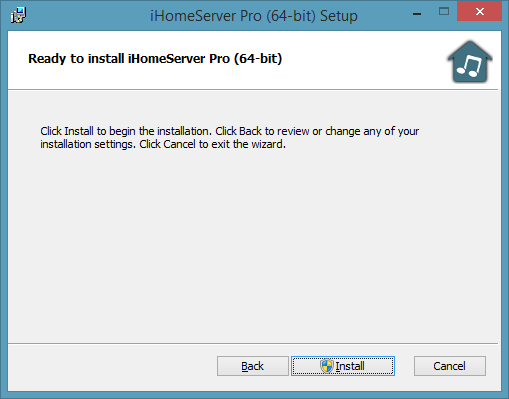 If the pre-requisites haven't been met, refer to this topic for further information on how to install them. Now you are ready to add some media!